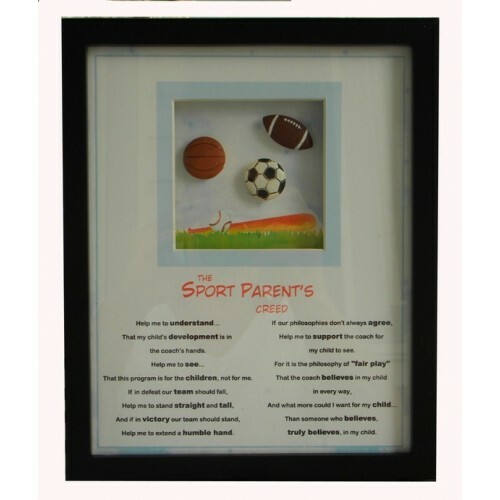 Sports Plaque /"The Sports Parents Creed"
6" H. x 3.25" W.--Hanging ceramic plaque with wire hanger is a lovely reminder of what 'fair play' is all about. 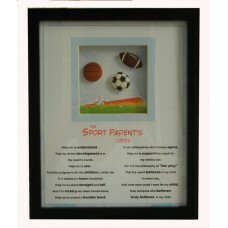 The "Sports Parents Creed" is a great gift for a coach or any parent . Add $6.00 for Name.